Does anyone have any info on when this magazine was published and possibly have any digital copies of any of the issues? I would like it for a project I'm working on. Attached is a partial image of what I'm looking for. Thanks in advance for any info/help. Sorry, I don't have any details but I am really interested in this as well, would love to know more about this magazine. 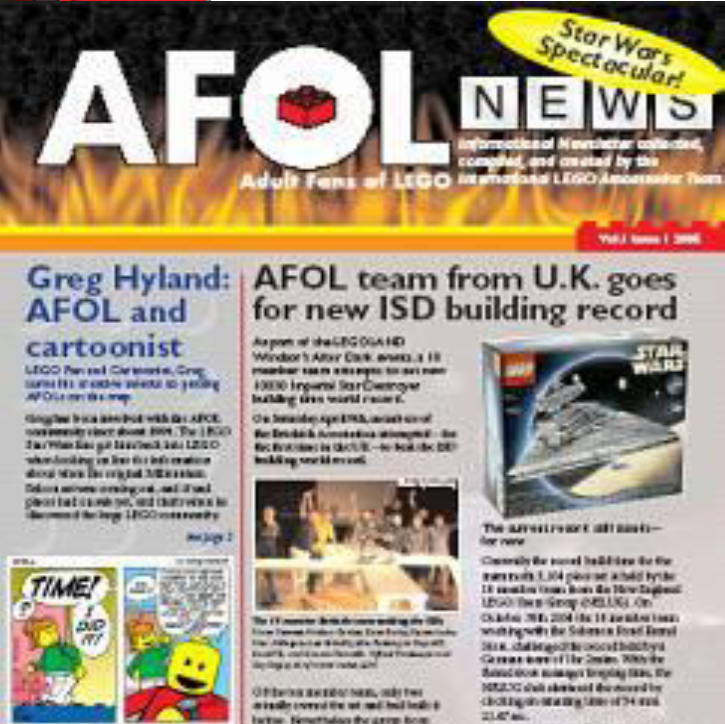 Certainly looks to be a LEGO oriented site, and Greg mentions that he's on Facebook and Twitter, so you can probably get in touch with him and ask who he produced the cartoon for. One of the builders in the photo is Our Good Host, Huw. "Informational Newsletter collated (or maybe 'collected'? 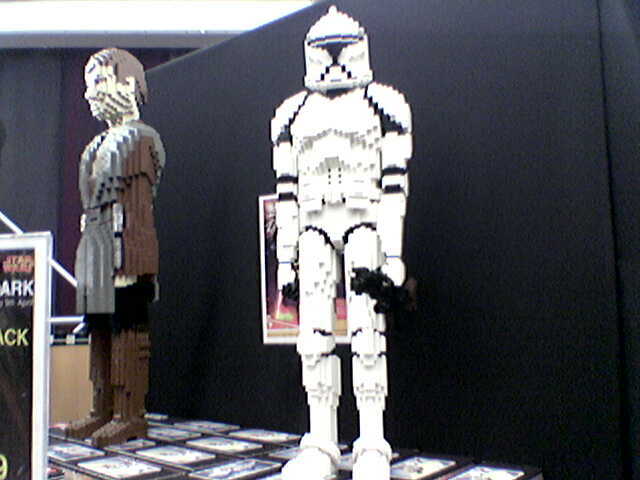 ), compiled and created by the International LEGO Ambassador Team". If anyone is interested, the team completed the build in 1hr 13mins 56secs, which was a new UK record for speedbuilding the UCS ISD. ^ I remember it well, in the big tent at LLW. OMG, the tent before Laser Raiders took over. Edit:- Did Simon ever have hair? That's not J Nolan is it? ?, Simon Bennet, Dean Earley (now Ms. Deanna Earley), David Till , Steven Locke, ?, Jason Railton, me, Jon Reynolds, Duncan Titmarsh. It's good to see they have a rope barrier up in front of the crowd, just in case anyone tries to storm the "pitch". ^^and while everybody else raises their hand and smiles to the camera, you grin at the Lego. I remember it being bitterly cold in there, and that we had more people watching the build than I'd expected. There was a little display of Star Wars models from the LLW model shop just outside, which probably helped draw folk in. Please excuse the blurry fonecam shot.